Foreword by His Holiness the 14th Dalai Lama. Edited by Fondation CL Tibet. 352 pp. 25 x 31.5 cm, 527 colour ills. Hardcover. German. 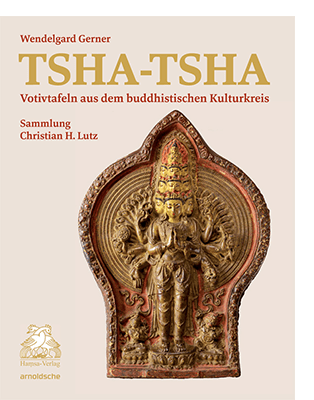 Tsha-tsha are terracottas, or unfired earthenware figures, in the form of cast-sculptured stupas/chörten (reliquaries) or reliefs, which are decorated in a variety of religious motifs in bas-relief or half-relief. These votive offerings in earth or loam are produced by hand by believers or monks with models (casts) and serve many different purposes in every day religious life. 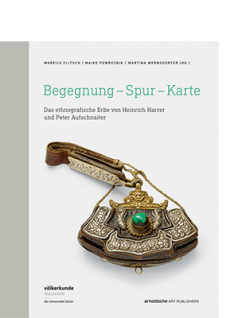 With the depiction of over 360 objects, the current publication offers an outstanding review of the diverse manifestations and the extensive iconography of these exceptional ritual objects from the Buddhist cultural sphere. Wendelgard Gerner (b. 1944) studied Catholic theology and Sanskrit and specialised in Tibetan Buddhism before completing her doctorate on the attainment of the Bodhisattva ideal of the faithful in Ladakh. 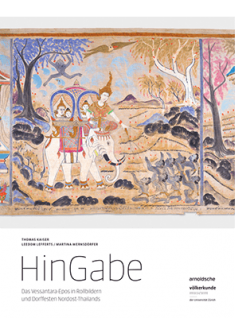 During her work as a lecturer and academic associate at Frankfurt University, she travelled many times throughout the Tibetan cultural milieu, primarily in northern India, Tibet, Bhutan and Nepal. Her research focuses on the Tibetan form of Mahayana Buddhism and its practice in the everyday lives of its believers.